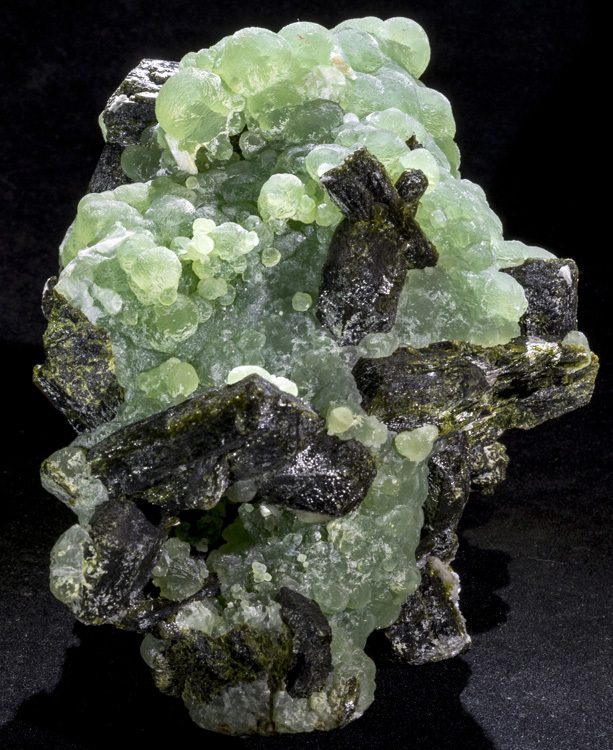 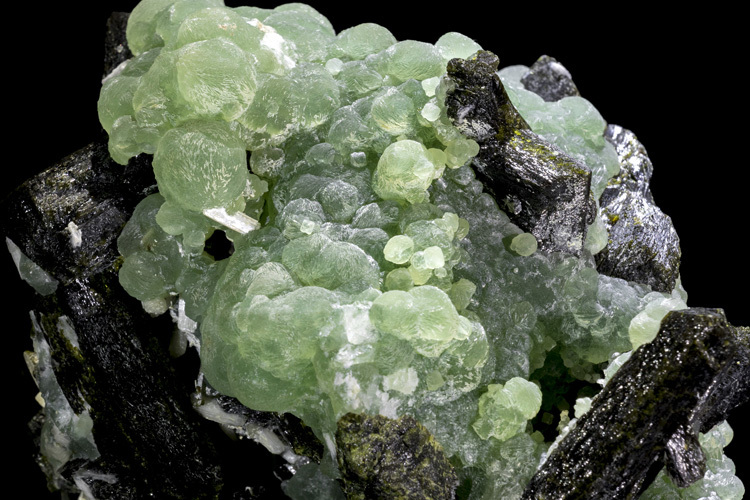 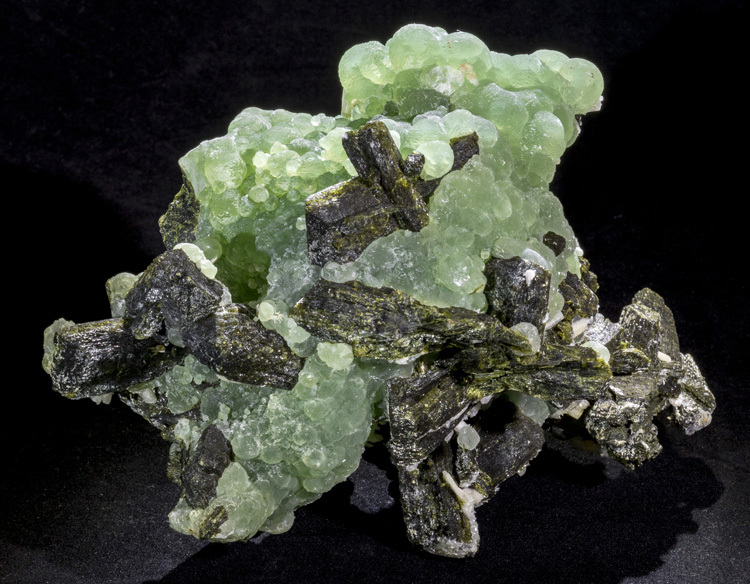 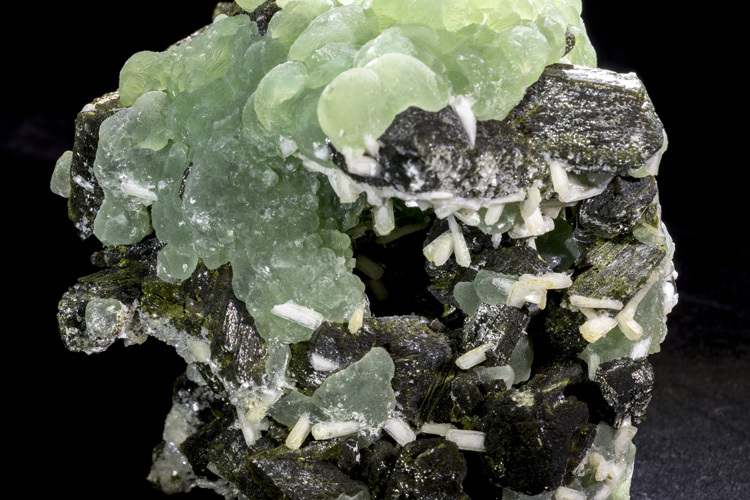 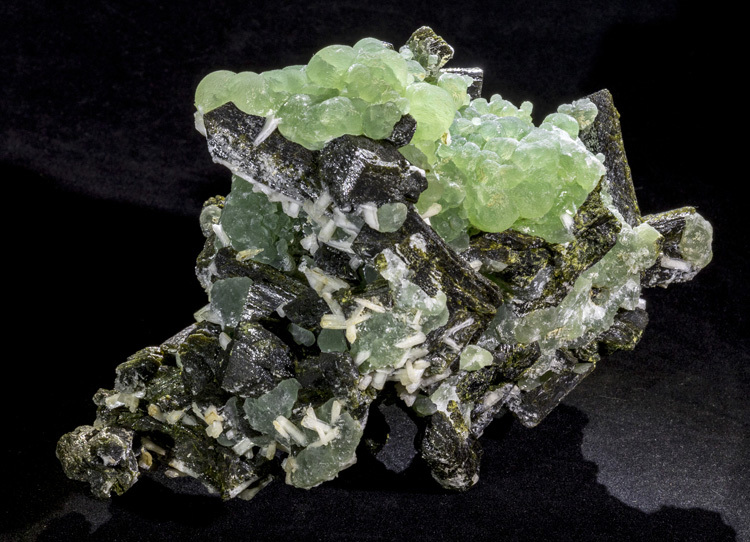 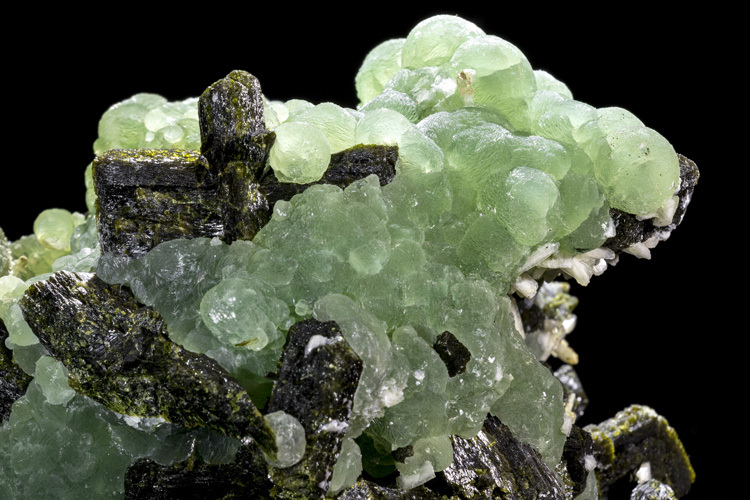 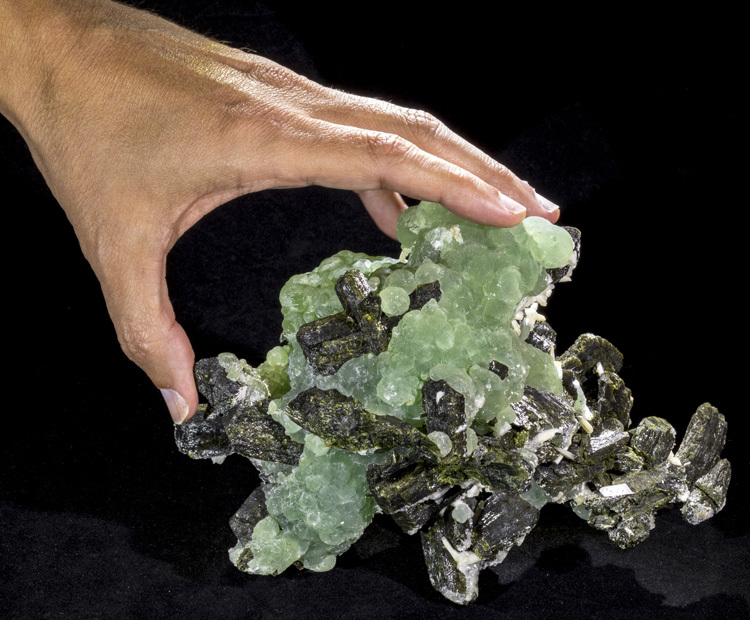 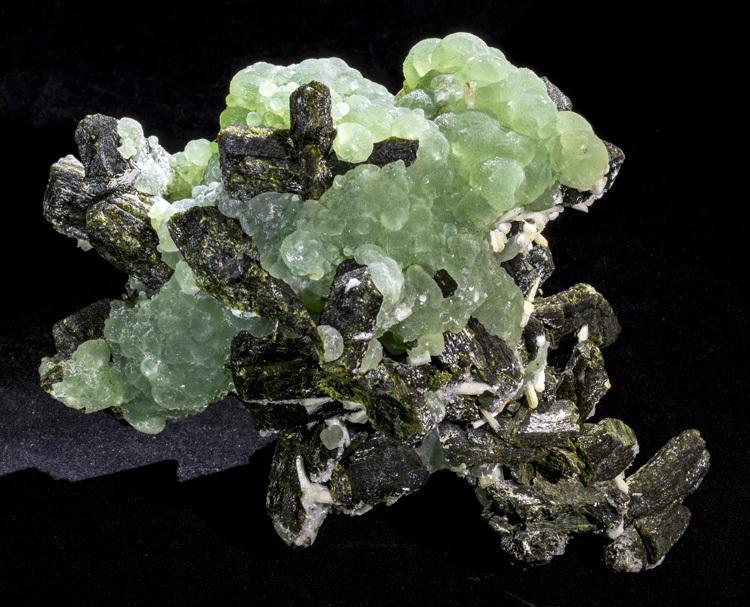 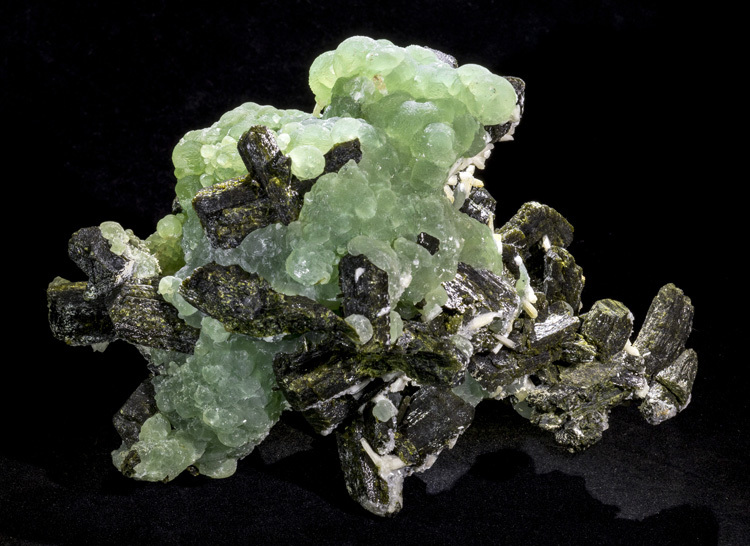 A spectacular, very large specimen of green botroydial prehnite with green/black epidote and white stilbite from Mali. 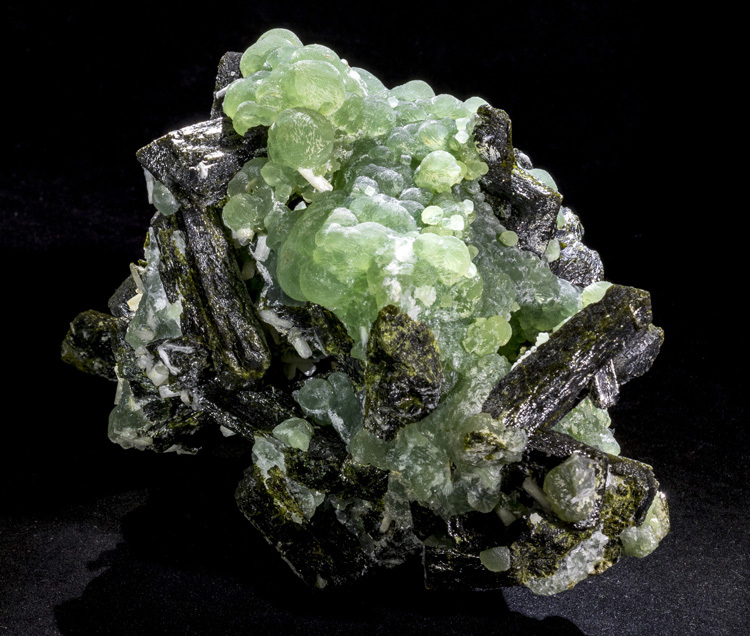 Finding large specimens in this condition with such great aesthetics is extremely difficult, and this it the best one like this we have seen in a few years. 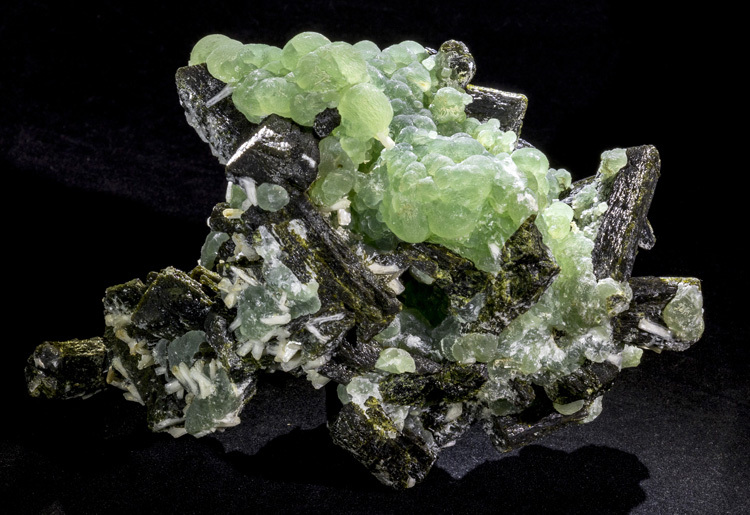 The condition is very good with minimal damage for such a large piece, and most of the damage is on the back/bottom side. 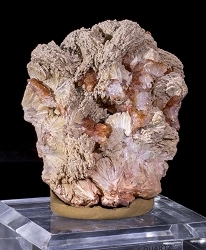 Actually, this specimen can be displayed in several different orientations, and it stands on its own. 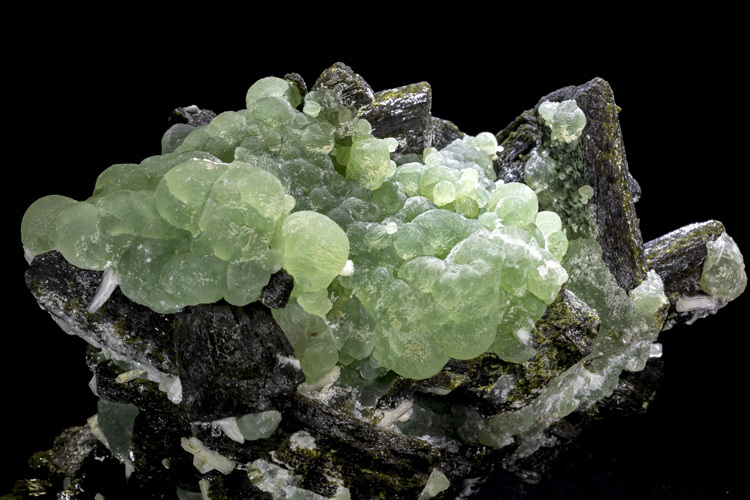 The prehnite has good translucent green color, especially when top or back lit.